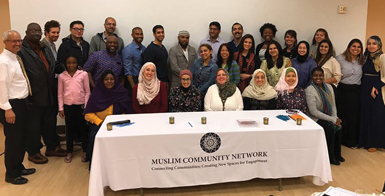 There are many ways to get involved with Muslim Community Network! MCN is powered by volunteers who lend their time and talent to give back to the community. Thank you for all you do! Volunteer at our Monthly Interfaith Soup Kitchen! Stay in touch! Learn about the great things MCN is doing, our volunteer opportunities and community events!